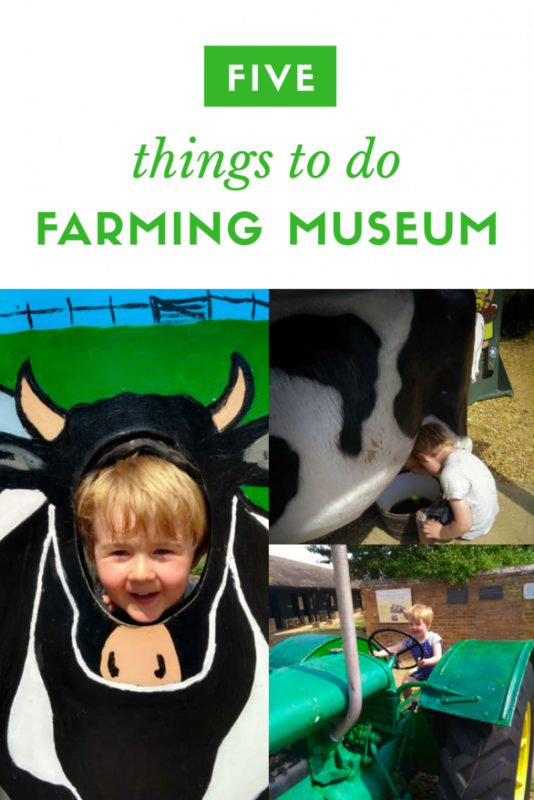 Ted and I visited the Fen Farmland Museum back in August. Perhaps surprisingly it remains our only mother-son day out to date. We had a lovely day out, although oddly we were one of only two families there on a stupidly hot day in the middle of the summer holiday. 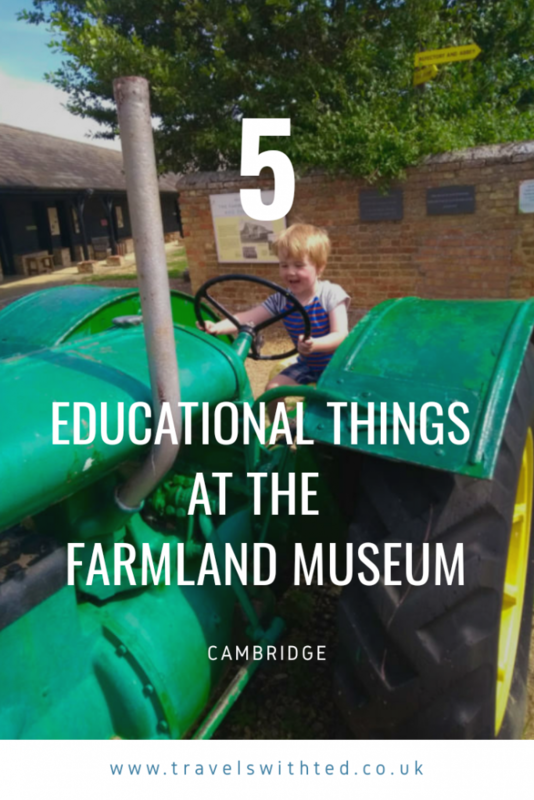 The Fen Farmland Museum has many hands on educational displays to aid children in learning about the different farming methods. 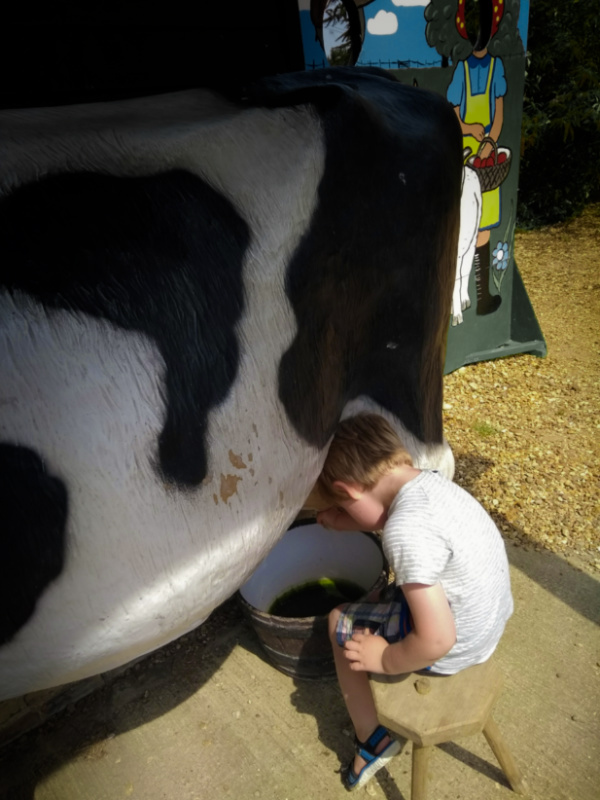 Kids always love a milkable cow at a farm yard and there were several other historical techniques to try out too. The toy shed is both brilliant and annoying because once we discovered it Ted did not want to go anywhere else. There was more than enough to keep him occupied all day. A lot of the toys were well thought out and suitably educational. They included dress-up, a well-stocked shop and jigsaws showing the different farmland that can be found around Cambridgeshire. 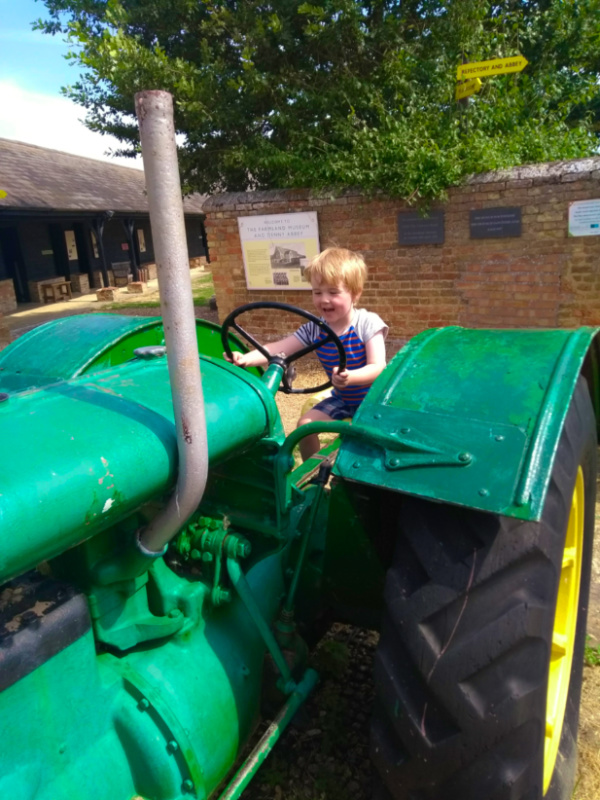 At the Fen Farmland Museum there are a lot of tractors from through the ages, alongside all manor of other farming contraptions. The favourite is always going to be the one tractor they can sit on and ride though. 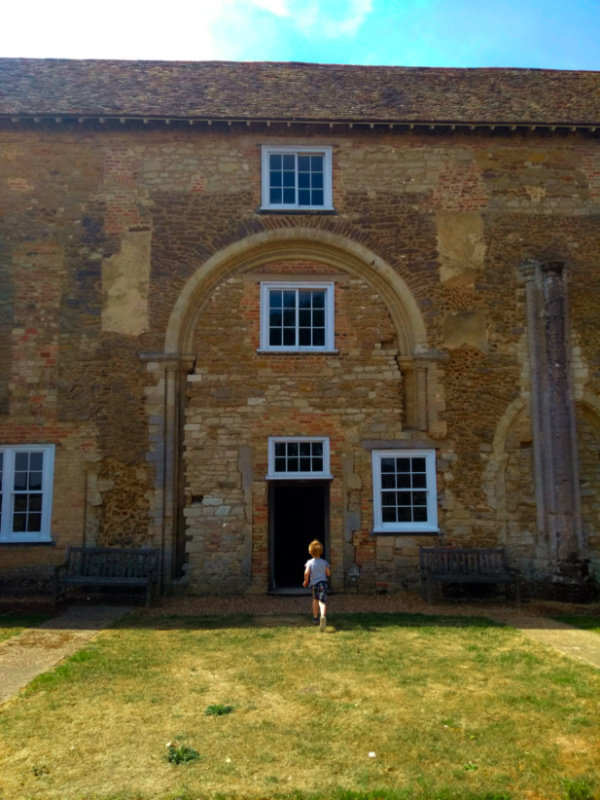 There’s plenty of outside space for the kids to burn off some excess energy around the Fen Farmland Museum. There were also mini tractors (always a favourite) and a small but fun play area. Entrance to the museum includes entrance to Denny Abbey. The site is owned by English Heritage. The Abbey itself isn’t huge (as Abbeys go) and has been almost completely gutted. You get around the interior on a series of wooden walkways. If anything this makes it a more interesting place to explore. 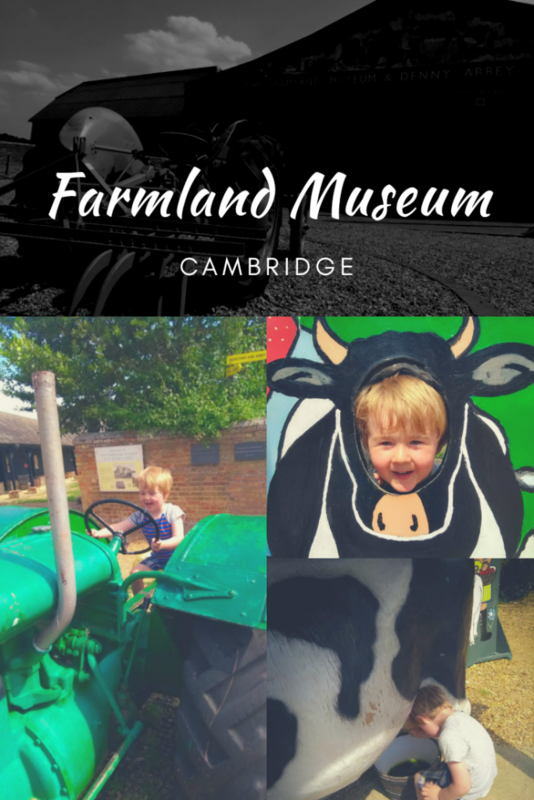 Read more about thing to do around Cambridgeshire in my A-Z of Cambridge with Kids.